Central Highlands Regional Council welcomed seven out of nine new trainees this week. 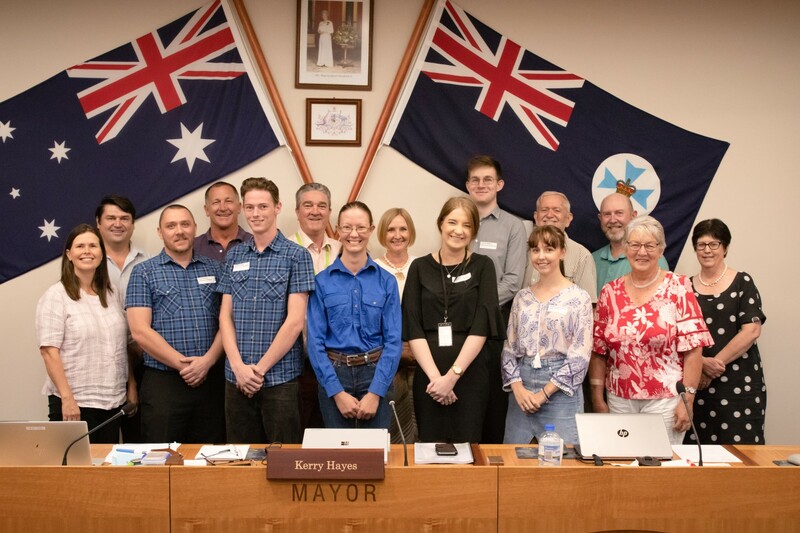 They will be joining council’s rangers, library, horticulture and business teams and more across the region, and will complete having gained a nationally recognised qualification and valuable local government experience. CEO Scott Mason said the councillors took the opportunity to welcome the trainees on their first day and wish them well. ‘The first day is one of the rare times that they are all together before they disperse across the region to start in their roles,’ he said. ‘Council strives to retain the trainees that perform well, providing that there is a position available. Mr Mason said council can provide these opportunities thanks to the partnership with the Queensland Government. Training officer Aleisha Catip said the volume and quality of the applications received for the 2019 trainee intake promise a successful year with fantastic outcomes for trainees and council. ‘All trainees have started the year with an abundance of enthusiasm and shown great eagerness to dive right into developing their knowledge and skill bases,’ she said. ‘We are extremely happy to have them onboard and excited to see their growth throughout their traineeship. Link to image. – Cr Megan Daniels, CEO Scott Mason, Paul Albert, Cr Alan McIndoe, Lachlan Geiger, Mayor Kerry Hayes, Alenna Patterson, Cr Gail Godwin-Smith, Ali Esplin, David Walters, Britney Schofield, Cr Paul Bell, Cr Charlie Brimblecombe, Cr Gail Nixon and Cr Gai Sypher.